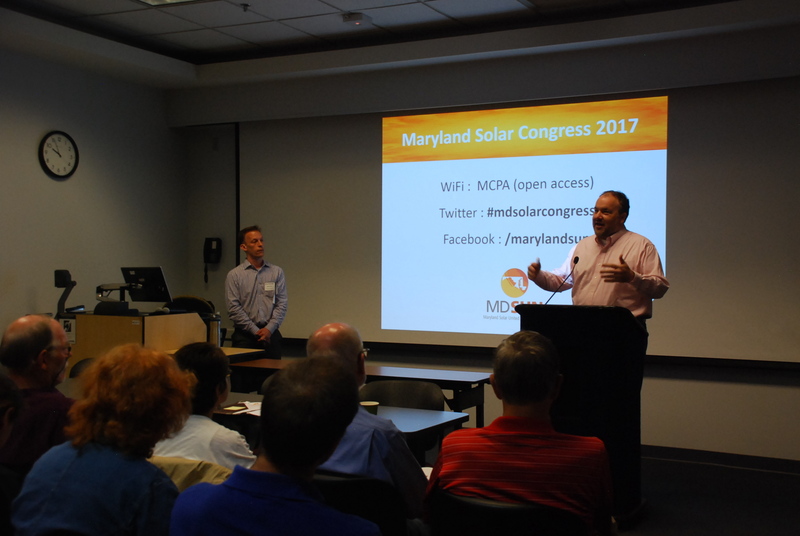 This past Saturday, solar supporters from all over the state convened to learn about various solar topics and discuss the important issues facing the expansion of solar in Maryland at the second annual Maryland Solar Congress. 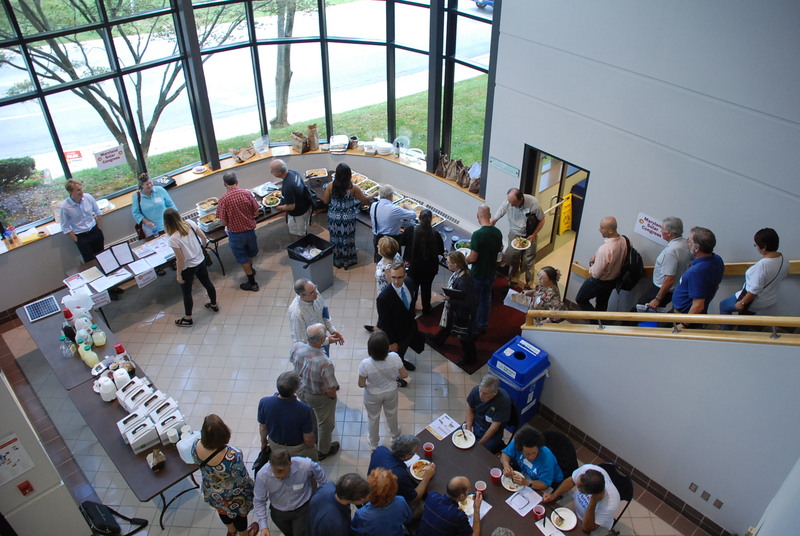 Montgomery College’s Gudelsky Institute for Technical Education in Rockville hosted the gathering and provided the perfect location for the event. 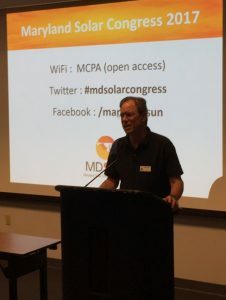 Montgomery Council President Roger Berliner speaks at the 2017 Solar Congress. 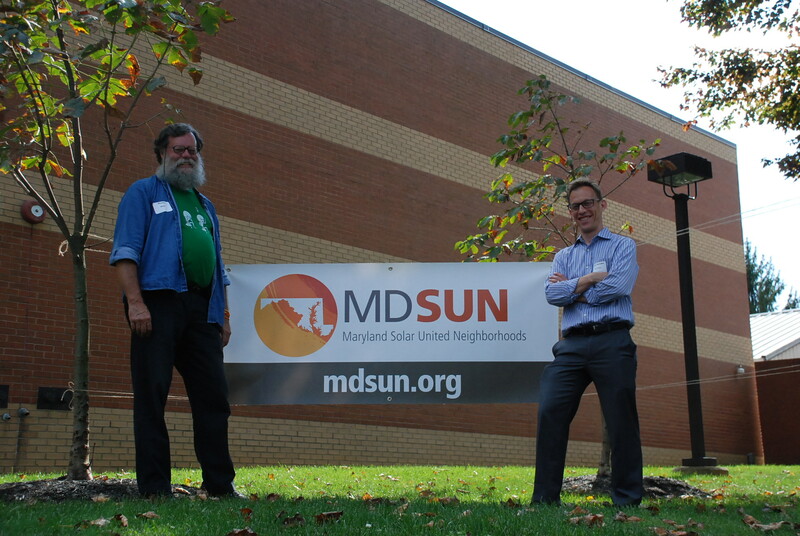 Montgomery County Council President Roger Berliner welcomed Congress participants and highlighted the critical need for Maryland to continue moving rapidly to renewable energy. Councilman Berliner also pointed out the county needs to make it possible for community solar projects to be sited there. 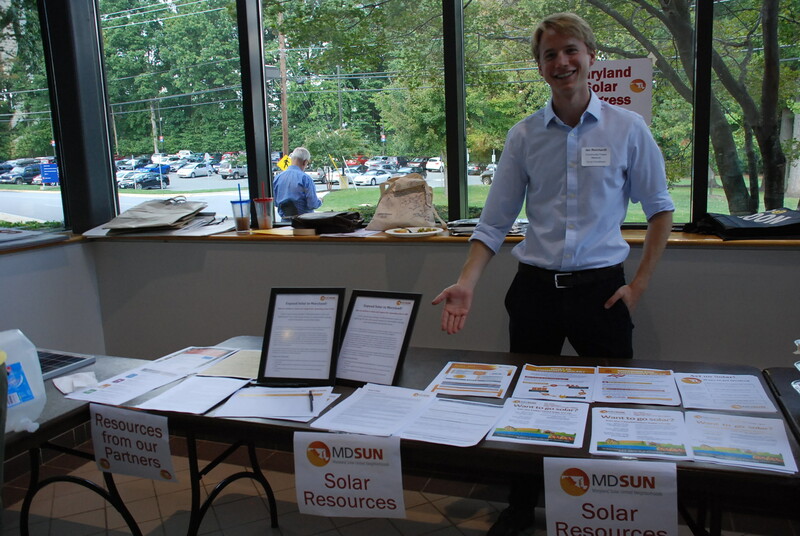 Delegate Luke Clippinger from Baltimore, sponsor of the 2015 community solar legislation, then also welcomed the crowd, reminding attendees that Maryland has more work to do in making solar energy accessible to all Marylanders, including low-to-moderate income residents. 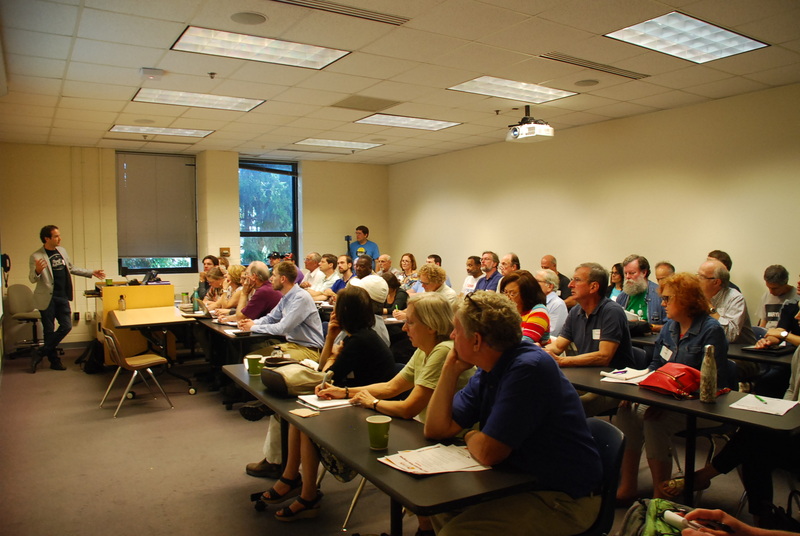 A morning round of sessions covered basic solar 101 topics, solar + storage, and the Public Service Commission’s “PC44” grid reform proceeding. 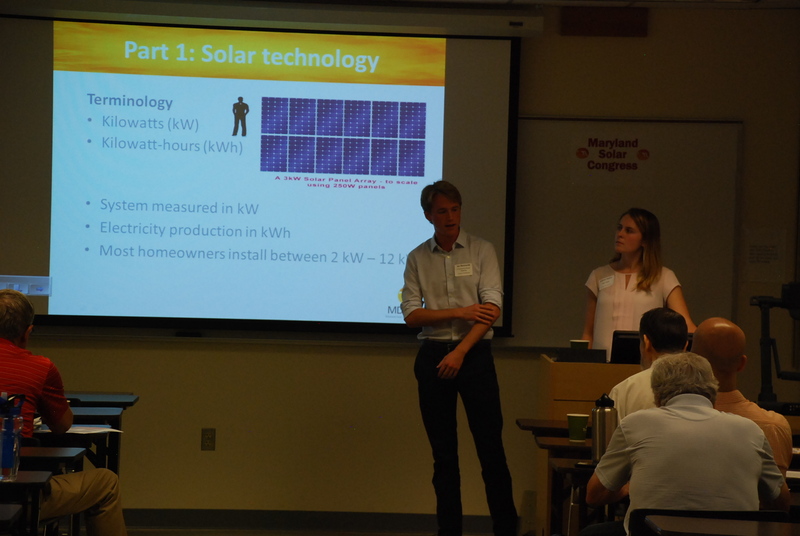 In the solar 101 session, Andrea Hylant and Ian Reichardt covered the basics of how solar technology works on a home, the incentives available in Maryland, and how solar can be financed. 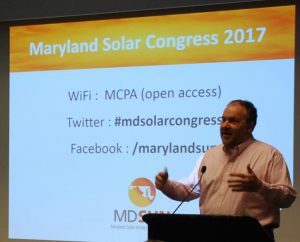 Delegate Luke Clippinger speaks at the 2017 Solar Congress. 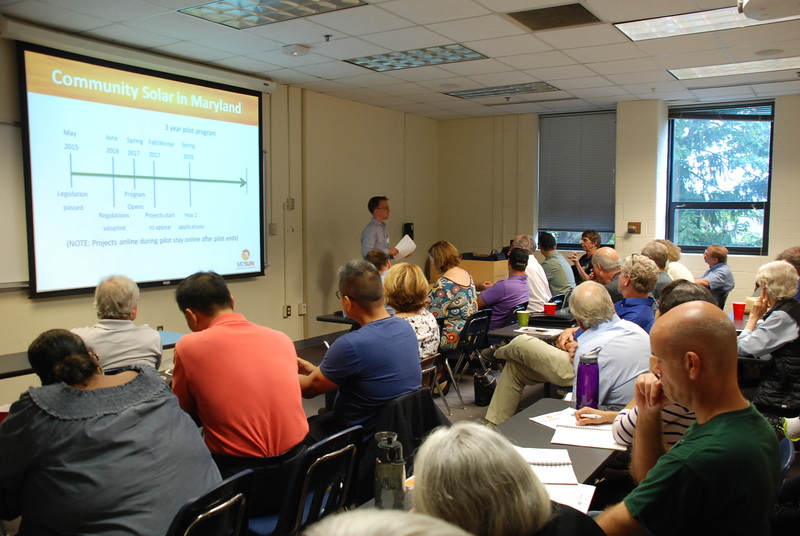 In the solar + storage session, AF Mensah’s Drew Adams gave a presentation to a packed room on the basics of how energy storage works and how it interacts with a residential solar system. 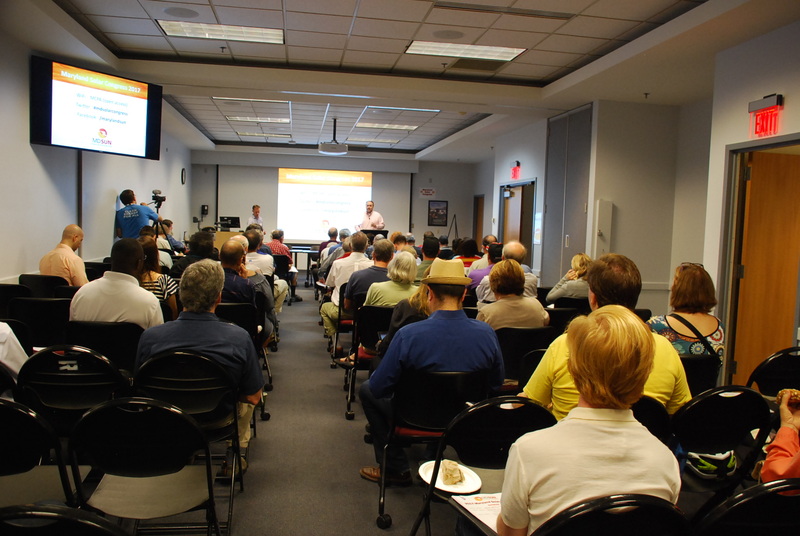 With interest in energy storage on the rise, Adams fielded numerous questions from the crowd ranging from the basic to the highly technical. 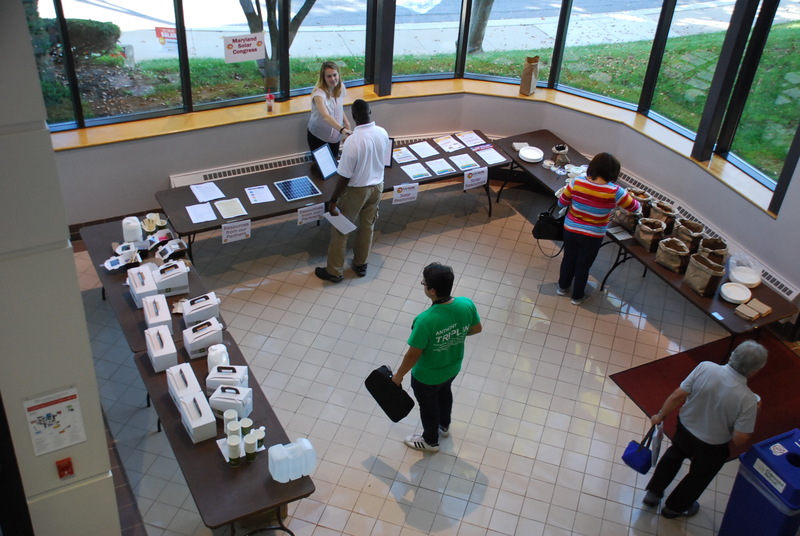 Some attendees lingered after the session to glean every last bit of knowledge they could from their presenter. Lyn Griffith Taylor of Marylanders for Energy Democracy and Affordability (MEDA) offered an excellent summary and assessment of the state’s ongoing efforts on grid reform in her session. With the Public Service Commission’s “PC44” grid reform proceeding almost half over, Taylor highlighted some positives of the PSC’s efforts as well as some gaps in the coverage of the proceeding’s scope, chiefly it’s lack of focus on addressing energy affordability and its impacts on Maryland residents. 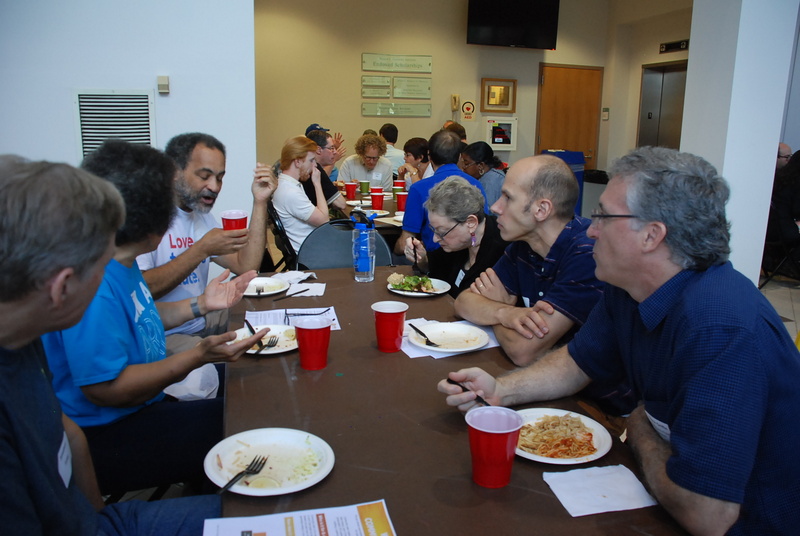 Solar Congress attendees swap stories over lunch. 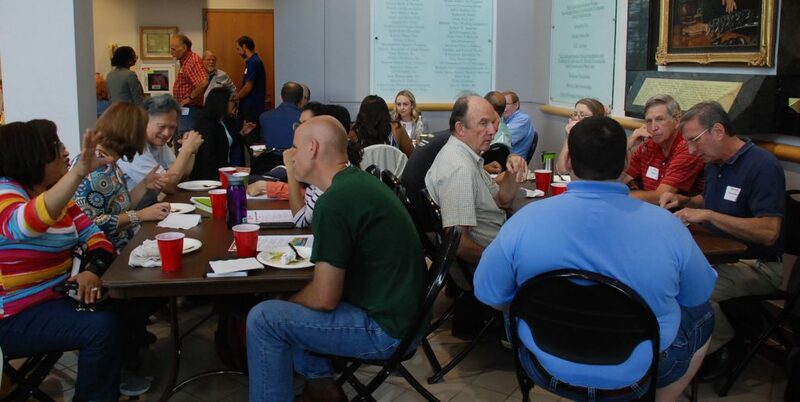 After a chatty lunch of networking amongst solar advocates from across the state, the afternoon kicked off with sessions on community solar and on keeping the value of solar in our communities. 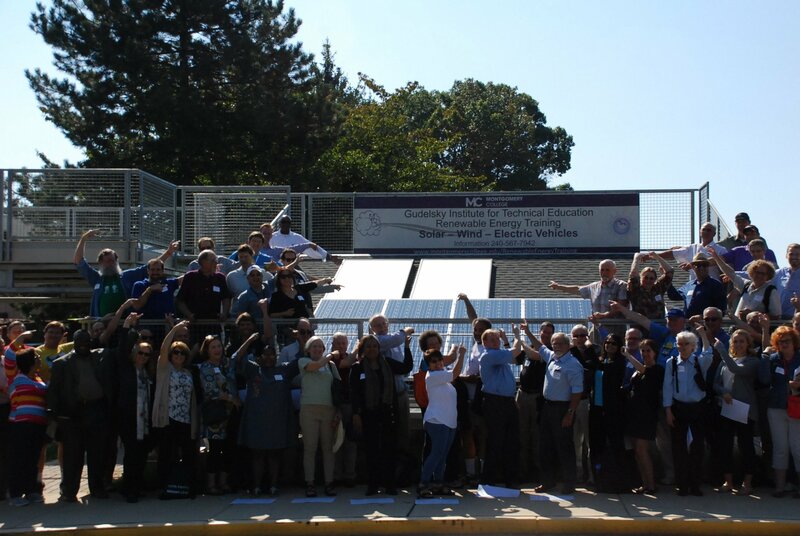 Corey Ramsden led a workshop on community solar, updating Congress attendees on the status of the program and diving deeper into how project development works, its challenges, and the benefits of communities working together. In the other afternoon session a panel took questions on the Renewable Portfolio Standard and Maryland’s solar job market, training opportunities, and workforce placement. Dean Ed Roberts of Montgomery College moderated the panel. 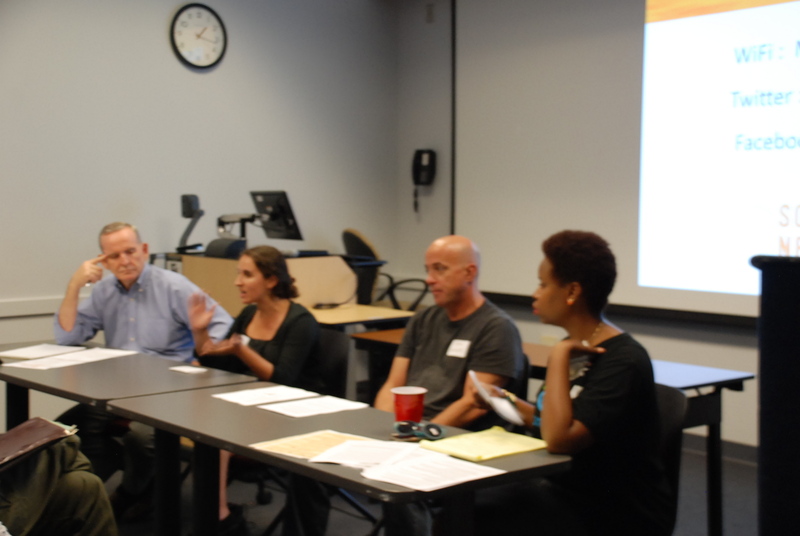 Panelists included Professor John Phillips of Montgomery College, Nicole Sitaraman of SunRun, and Evie Schwartz of Civic Works, Retrofit Baltimore. 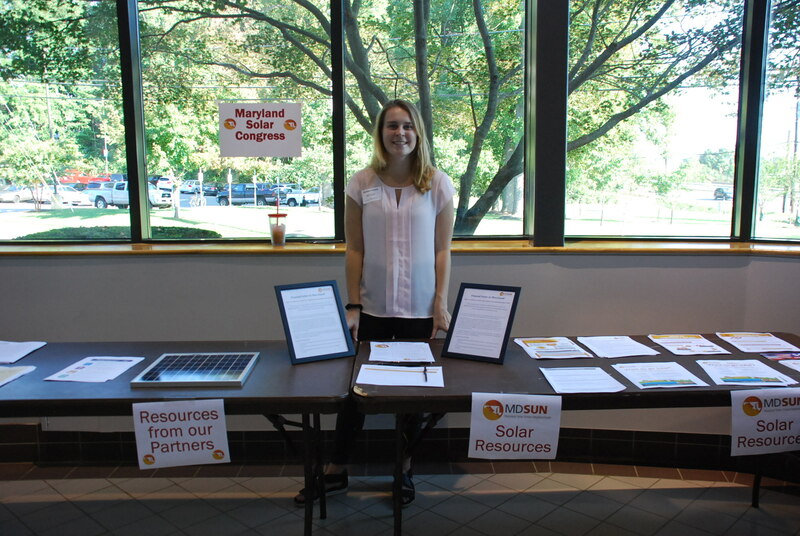 To cap off the day, Community Power Network’s Executive Director, Anya Schoolman, facilitated a discussion on solar in Maryland. Congress members shared their takeaways from the day’s sessions and their thoughts on key areas network members should focus on during the coming year. 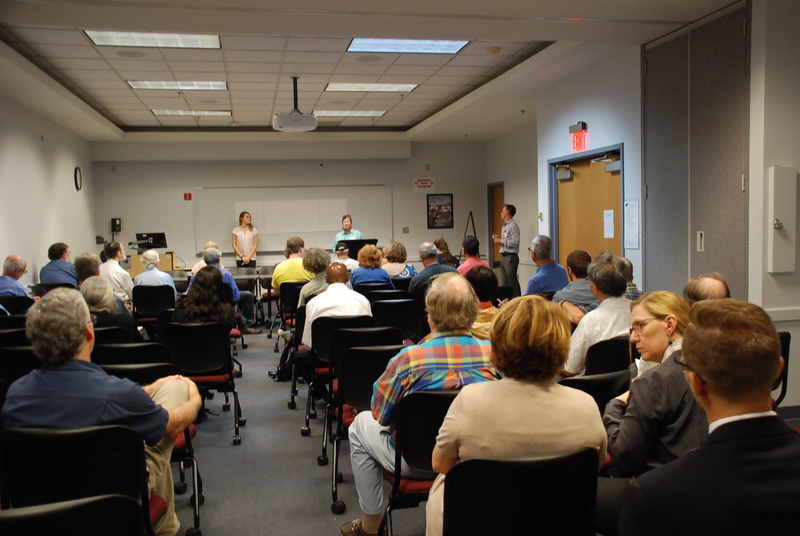 Those topics included expanding access to renewable energy financing for low-income residents, educating and supporting homeowners interested in energy storage, expanding the Renewable Portfolio Standard, and continuing the focus on making the community solar pilot program a success by addressing local zoning challenges and supporting community-based projects. 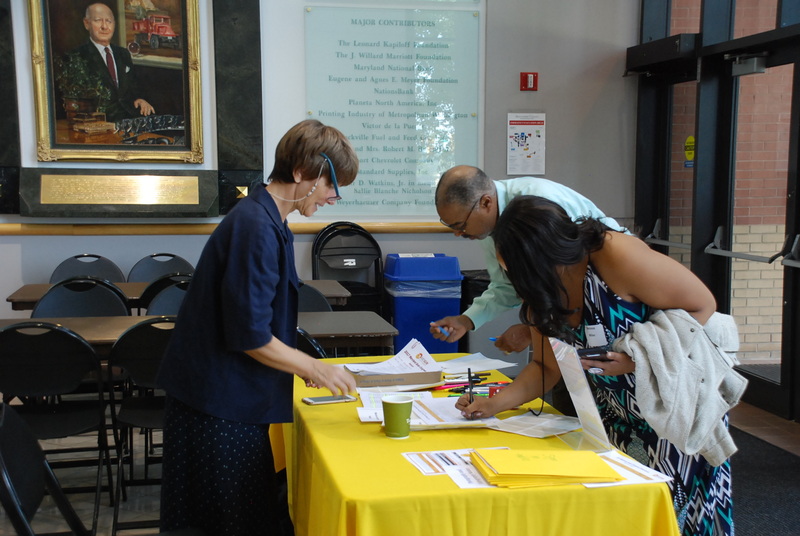 Thank you to everyone who came out to the Congress and contributed your voice to the discussion. 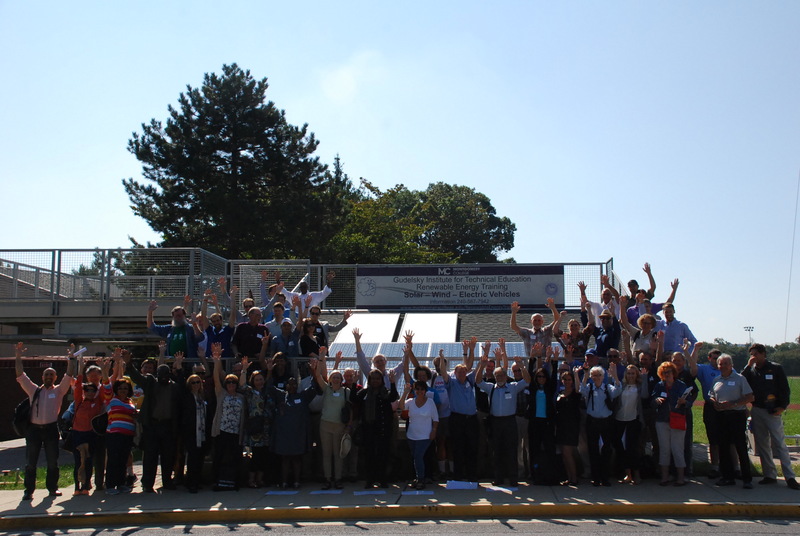 Where should the next Solar Congress be? What topics should be cover? 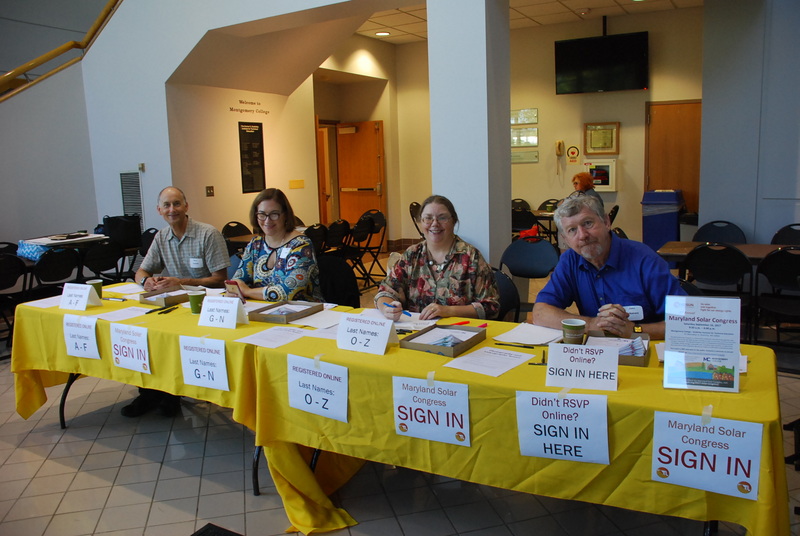 Help shape the direction of our efforts across Maryland by getting involved. 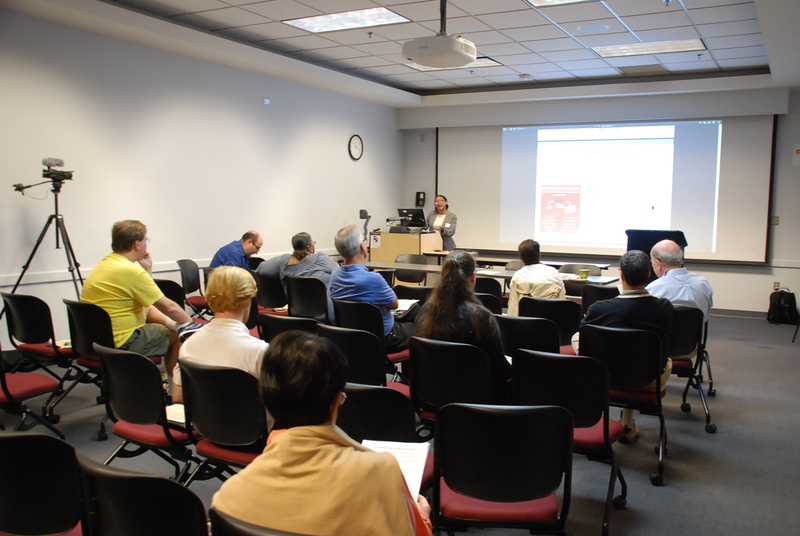 Below you will find links to download presentations and view a photo gallery of the day’s events.